We have a new family member! 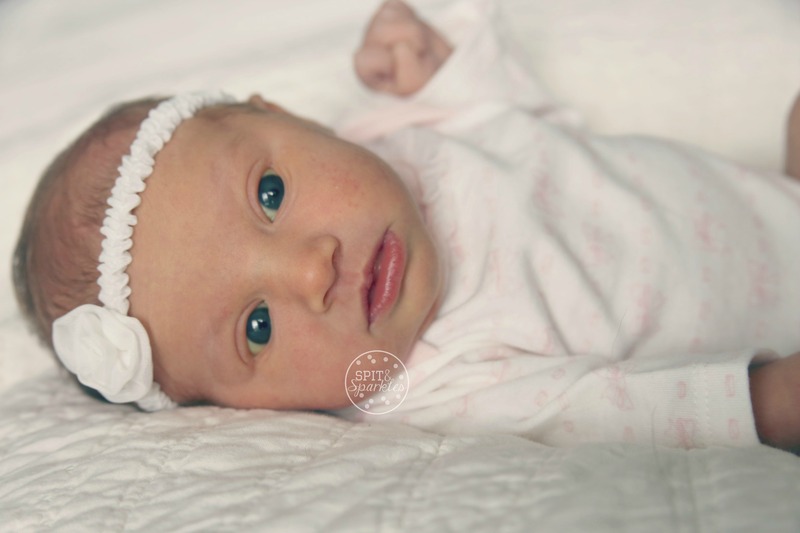 Harper Trudy was born on Thursday, September 24, 2015 at 37 weeks, 2 days. This birthing experience was completely different than with the twins. I am happy to say that I successfully delivered VBAC after twins! This had been my hope since my first ultrasound, and it almost wasn’t possible. This pregnancy was difficult. I guess it was because I’m three years older than I was the first time, have two other toddlers, and Harper lay transverse for several months. The side lying position of the baby was extremely uncomfortable for my petite frame, and contributed to lots of swelling on the right side of my body. Because of this, I didn’t think I would be able to have my VBAC. She would seem to move into the right position only to flip back around. It was frustrating those last few weeks. The week leading up to Harper’s birth, I knew she was coming soon. When I first learned I was pregnant, I predicted she would be born on September 25th. (True story, just ask my mom and Derrick!) But at my 37 week checkup the Tuesday before she was born, I had only dilated to one centimeter and was still pretty high. This gave me doubt, but I began feeling contractions every night and into the early hours of the morning. 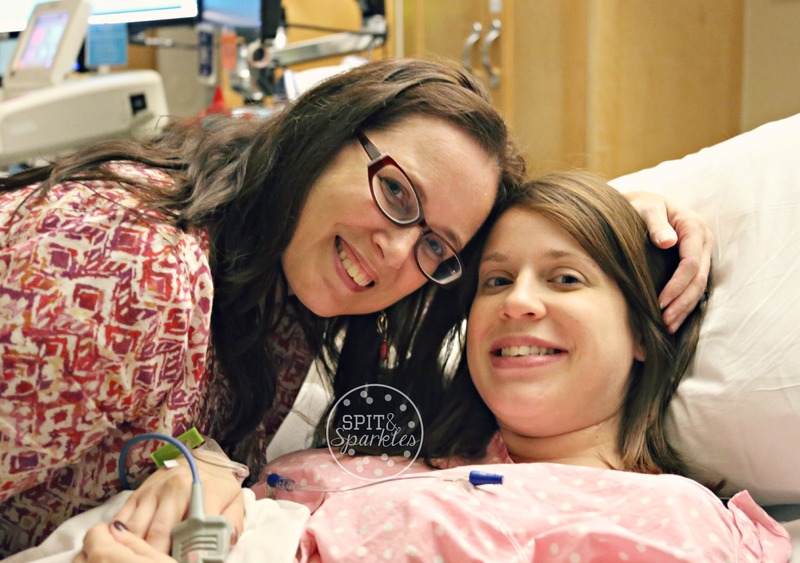 On Thursday, I woke up to contractions around one or two in the morning. When I couldn’t go back to sleep, I began to time them. They were coming every 15 to 30 minutes and lasting 30 seconds to one minute. I decided to get out of bed around 3:00 a.m. and move around to see if it would stop. I woke Derrick up to let him know that he probably wasn’t going to work that day and then began some light housework. I folded laundry, picked up toys and started packing the last of my hospital bag items. All the while, I kept timing my contractions. They didn’t stop. Around 7:00 a.m., I called my mom, who lives five hours away, to give her the heads up that I was in early labor. We agreed that I would give it a couple of more hours before she set out on her way, just to make sure it was really happening. I tried to go back to sleep after that phone call, but wasn’t really able to rest. I called my mom back and told her to come because if I didn’t have the baby Thursday, I knew it would be before the weekend was up. I spent the rest of the morning playing with the twins, and the contractions did seem to let up for a couple of hours. I made it through lunch before I started feeling them again, and they were about 10 to 15 minutes apart. I tried to nap again when the twins took their nap, but around 2:00 p.m., I was starting to get a bit uncomfortable and restless trying to lie down. 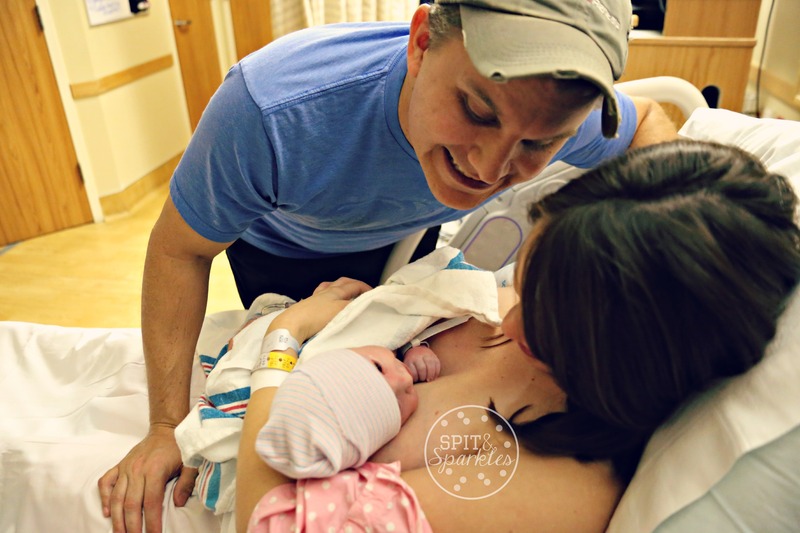 I called my doctor around 3:00 p.m., and at that point the contractions were 7 minutes apart. They advised me to head to the hospital since I was attempting a VBAC after twins. My mom arrived just before I made that call, and we started getting everything ready to go. Derrick’s brother graciously came over to watch the twins for us, and we began our 45 minute drive to the hospital just before 4:00 p.m. This was the most uncomfortable ride of my life! Every little bump made me tense up, which is exactly the opposite of what you should do during contractions! During the car ride, my contractions began speeding up and lasting longer. They were consistently coming 4 to 5 minutes apart and lasting 45 seconds to one minute. Things moved pretty quickly once we arrived at the hospital. I was three centimeters at my first check, and was informed that I would be admitted. 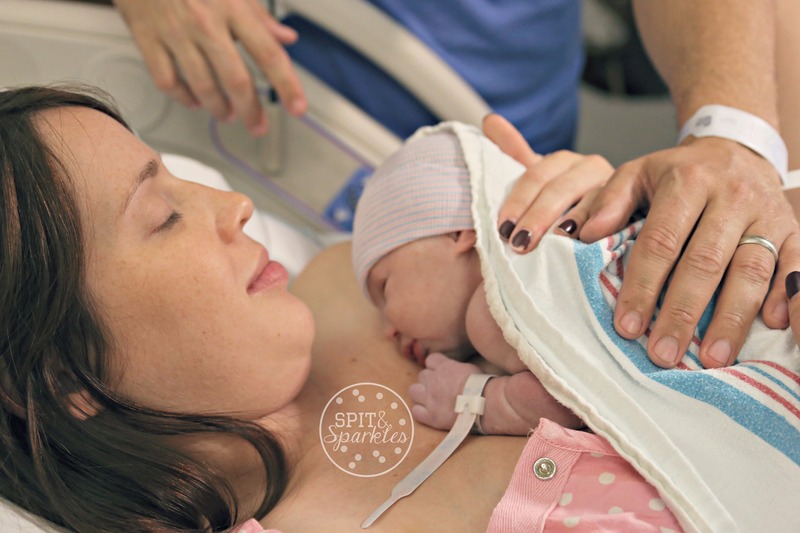 Once I got into my delivery room, I was experiencing intense contractions. It was hard to sit and lie down, but because of my increased risk due to my previous c-section, I had to be continuously monitored. 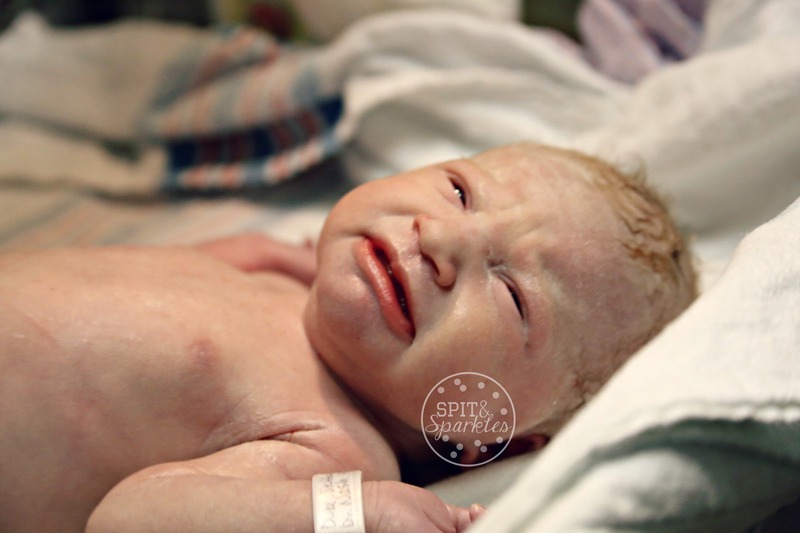 I refused pain intervention at this point because I really hoped to deliver naturally. I finally got wireless monitors and was able to walk around the room, which helped tremendously. By this point, contractions were coming very quickly at two minutes apart. I forget what time of evening it was, but when the doctor visited me, I was 7 centimeters. This gave me so much hope that I could continue on without pain meds or an epidural. But things started becoming so painful that I could barely stand. My legs were shaking, and I was extremely dehydrated. An hour had passed since my last check, and I had only progressed to 8 centimeters. Contractions were coming on top of each other, and I asked for the epidural. That was the most excruciating part of my entire VBAC after twins experience! “Hold still,” the nurse and anesthiologist said; “try to remain relaxed.” Hahahaha, yeah right! 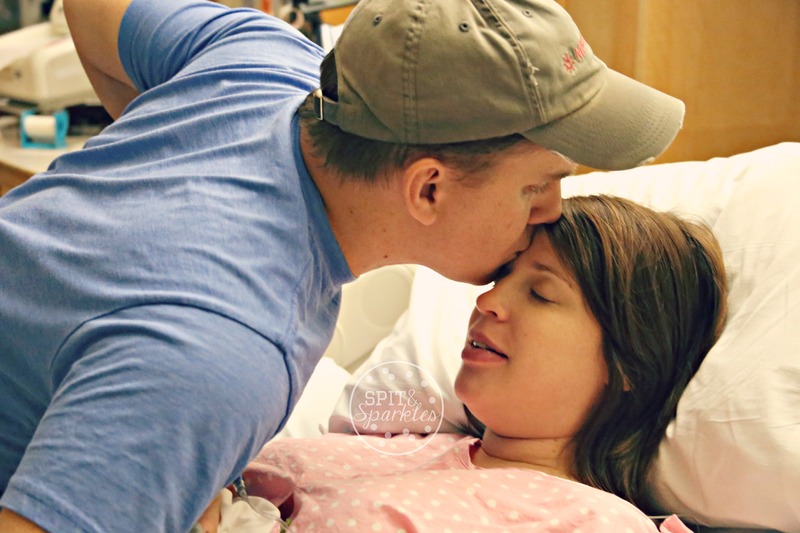 Sitting down, hunched over with needles being poked into me was not my ideal position to labor through the strongest contractions. But I did it! Relief came about 30 minutes after the epidural. I was checked again, and still at about an 8. My doctor advised me it was time to break my water. She broke my water, and said I’d be ready to start pushing very soon. She estimated within a half hour. So during that time, my nurse helped me do some practice contractions and prepared me, Derrick and my mom for what was to come. Twenty minutes after breaking my water, I was ready to push. It took about three to four pushes before Harper began to crown. I had to stop briefly because her umbilical was around her neck. That was scary for 30 seconds, but a few more pushes and she was in my arms. The feeling of my newborn daughter on my chest was euphoric. I nursed her right away and just snuggled her in. Harper weighed 6 lbs. 14 oz, and was 19.5 inches long. She was born at 10:47 p.m. on September 24th, just shy of my prediction she’d be born on the 25th. She is beautiful, and looks just like I had imagined. 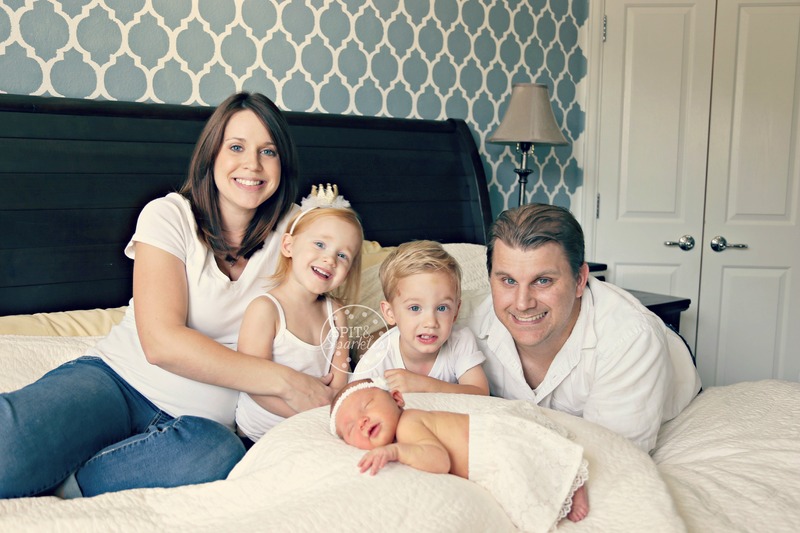 Around 31 weeks, I had begun to have anxiety about her being born prematurely, since that was the gestation of Corbin and Lynley at their birth. But, God spoke to me through a dream and showed me her sweet face. I told Derrick and my mom that she was going to have chubby cheeks and hair like Corbin did when he was born. I was right. Our little pumpkin looks a lot like her brother and dad, but I see glimpses of myself and Lynley in her facial expressions. I can’t wait to see how her looks will change and develop. She has truly made our family complete. The twins are doing amazing with her. They are so in love. Lynley is a mother hen, just as I expected. She wants so badly to help with everything. I love it, but I also have to watch closely because she will sneak in to see Harper when I’m not looking and try to shove the pacifier in her mouth or smother her with stuffed animals! Corbin just wants to kiss on her. He loves his baby “Har-pah” and thinks “she is so cute.” I feel incredibly blessed to have such loving and accepting children. 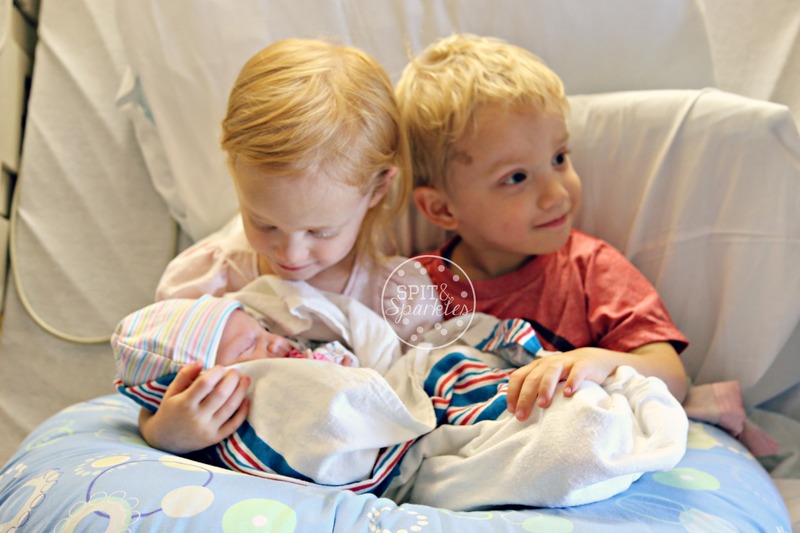 It can be hard to get used to a new sibling, but they are doing amazing. I worked hard on preparing them for her birth, and I’ll be sharing those tips on how to prepare twins for a new baby soon!